Home Unlabelled What does India need to become an economic competitor? What does India need to become an economic competitor? 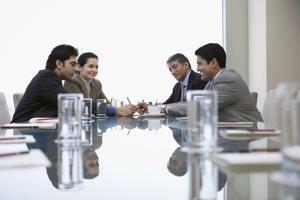 A large population and readily available workforce are prevalent in the Indian economy. With procurement services advising their clients to source finished goods in nations other than China, it's a wonder why enterprises haven't made the southwestern trek over the Himalayas. One of the biggest obstacles preventing foreign investors from funneling capital into the country is a list of regulations that aren't necessarily business friendly. IndustryWeek noted the Asian Development Bank advised the Indian government to remove these sanctions, which will bolster the nation's economic credibility. "To get back to a high-growth path of 8 to 9 percent, it's crucial to implement investment-friendly reforms being initiated by the government," said ADB President Takehiko Nakao, as quoted by the source. It appears the ADB is stepping in on this particular matter. IndustryWeek acknowledged the organization's intention to give India loans amounting to anywhere between $7 billion and $9 billion over the next three years for the purpose of reinvigorating the nation's lackluster infrastructure. While there are certainly enough people to fill positions, analysts at the University of Pennsylvania Wharton maintain India's labor laws are anachronistic. Some global sourcing strategists have said the nation's employment practices are socially and economically unfavorable. For instance, multiple definitions for "wages" and "workers" make it easy for corrupt employers and officials to take advantage of the system. One particular law obligates companies to collect 49 percent of personnel payrolls for supposed benefits. Until these issues are properly addressed, foreign companies will continue to be skeptical about including India as an integral part of the procurement process.